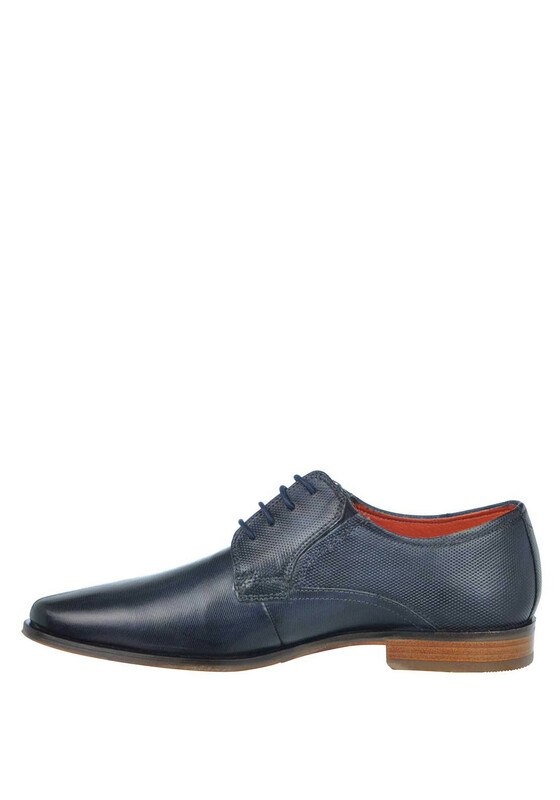 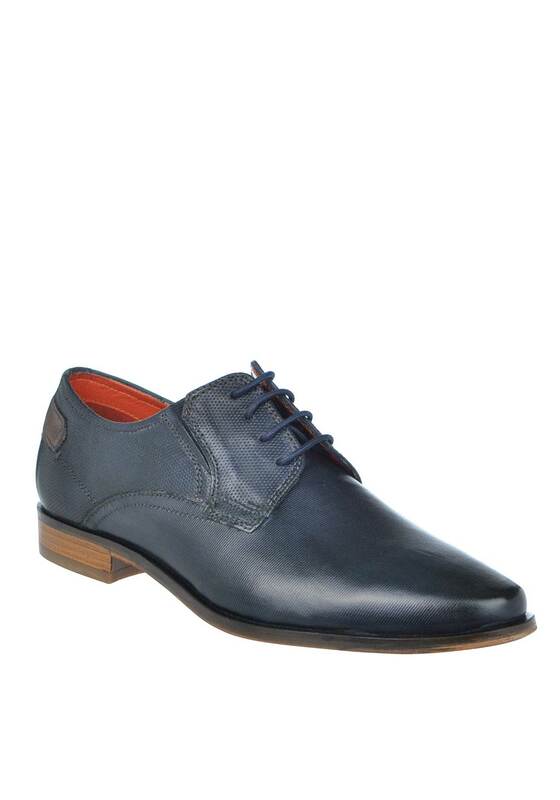 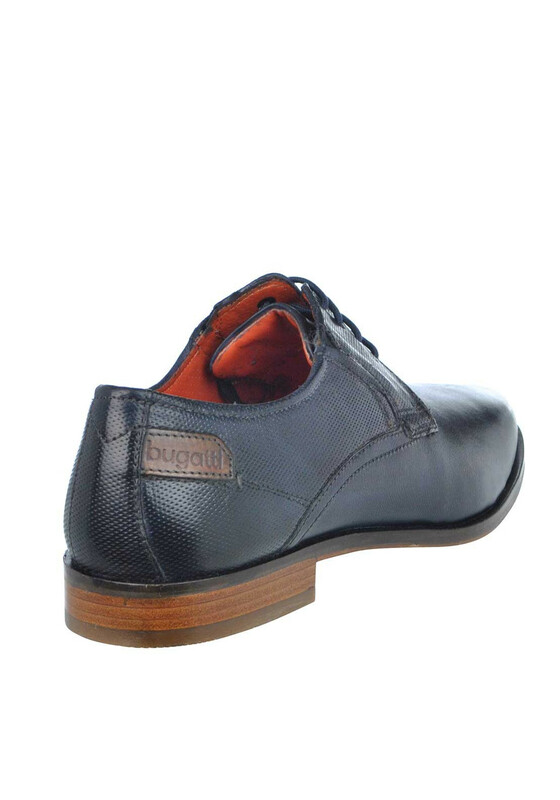 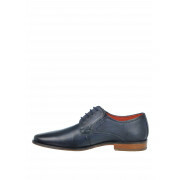 A deep navy formal shoe from Bugatti which would be a stylish choice to wear with a navy or grey suit for work or a special occasion. 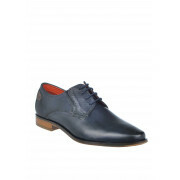 Made from textured leather with lace up fastening and elasticated inserts at the top of the foot for improved comfort and fit. 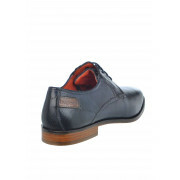 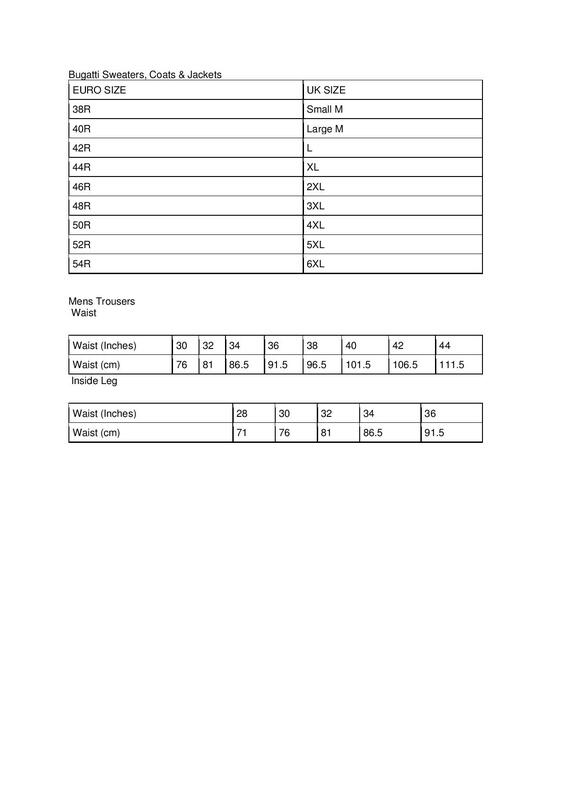 Other details include a removable insole and durable sole.